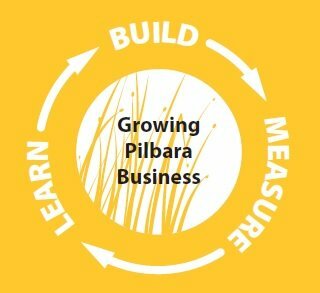 The Business Centre Pilbara can help from planning phase to setup of your business. Whether you are planning to go into business or are already in one, you can access a wide range of information and guidance through the Business Centre Pilbara.Â This service is free, independent and confidential and is available to everyone. Getting you on the path to success, Business Advisors are available to work with you to ensure your business works in reality, not just on paper.Â We are driven on one motivation and that is â€“ your success. A Business Advisor will walk by your side on a journey to build your business, creating new value.Â We will help you put your ideas into action, and gain insight and measure the effect of your decisions, so you can make sense of, and focus on what it is that will determine your success. Do you have the passion and aspiration to start a new business?Â Get in touch with the Business Centre Pilbara and a Business Advisor will help walk you through all the questions you have, â€œWhat if?â€,Â â€œCan I?â€, â€œShould I?â€, and â€œHow do I?â€ that every start up needs answered. At your first meeting we will look at what your goal is and translate it into the opportunity and check the feasibility of your business idea. Find out about how we can help you. Once you are clear on your new business goal, then itâ€™s time to get to work completing all the activities to start your journey of owning your new enterprise.Â Â This is where your Business Advisor helps you makes sense of what you need to do and how to do it. We begin to work with you to identify any knowledge gaps from business basics, online marketing, digital disruptions, or operational needs, and connect you to resources to build your knowledge and skills.